Is the pursuit of happiness making you unhappy? How can I achieve true happiness? This is a question most of us ask from time to time as we tune in to the ideals of happiness that surround us in our everyday lives. Happiness has been making the news in recent years as we hear that more and more people are suffering the effects of being unhappy; the number of Americans on antidepressants almost doubled in the years between 1999 and 2012, while just a third of the population says they currently feel very happy. So, what about the rest of us? As happiness levels decline, we’re trying harder to achieve contentment. The definition of happiness is a difficult one to work out, but in many cases our ideas of happiness are tied to the notions of success, beauty, wealth, intelligence and other markers that we use to measure how happy we should be. Let’s explore the finer points of happiness, the effects of happiness and whether it’s always a good idea to strive for perfect contentment. Being happy is a common goal; through the media, we’re shown ideals of happiness and success in the form of achievement, wealth, perfect relationships and beauty. The pursuit of happiness is even inscribed on the Declaration of Independence, highlighting the value we place on feelings of contentment in our society. Happiness can be beneficial both physically and emotionally; the physiological effects of happiness can help build immunity to stress and enhance creative thinking. Socially and emotionally, happiness can help us develop bonds with others and enhance our mental wellbeing with feel-good hormones, contributing to feelings of optimism and self-worth. Experiencing happiness can have a positive impact on our lives, too, helping us build strong relationships, succeed at work, achieve satisfaction and become more popular – positives we all want to achieve. As much as being happy is a life goal for many of us, happiness at the wrong time, in the wrong amount, or achieved in the wrong way, can have negative effects across various areas of our lives. Research has shown that too much happiness can, in fact, hamper creative thinking past a certain point and be useless in competitive tasks, where more negative emotions like anger can actually yield greater success. Extreme degrees of happiness are associated with risk-taking and dangerous behavior, emotional impairment and mania, while the ways in which happiness is pursued can be detrimental to ourselves or others; someone addicted to drugs may feel happier when they use, for example, but this is a damaging and dangerous way to attain contentment. Our imagined ideals of happiness can mean we set our expectations high, and when these standards fail to be met, we are often left with feelings of disappointment, which make us feel unhappier and contribute to feelings of depression and lowered self-esteem. The pursuit of happiness is increasingly becoming something of an addiction – we strive for happiness at all costs, but to what extent is the happiness we achieve real or imagined? 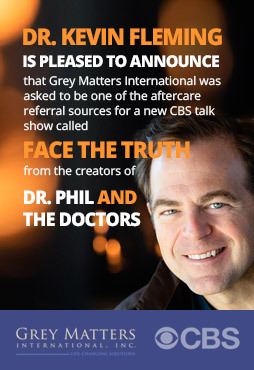 At Grey Matters International, our unique neuroscience-based approach to achieving better mental health is designed to retrain the brain to cut through the illusions, revealing the truth. 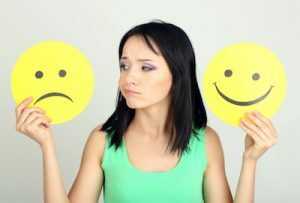 Acceptance of emotional states as enriching the human experience, combined with a broader focus than on happiness alone, is key to understanding that while happiness has its place in our lives, so too do other emotions. To achieve happiness, it’s vital to lay the foundations, set realistic expectations and cut out unhelpful thought processes and ideals that contribute to feelings of disappointment and inadequacy. The unique, concierge-led approach adopted by Grey Matters International is tailored to each individual, working on retraining the brain to be open to true happiness. Contact us today to find out how we can help you dig a little deeper and discover real contentment.